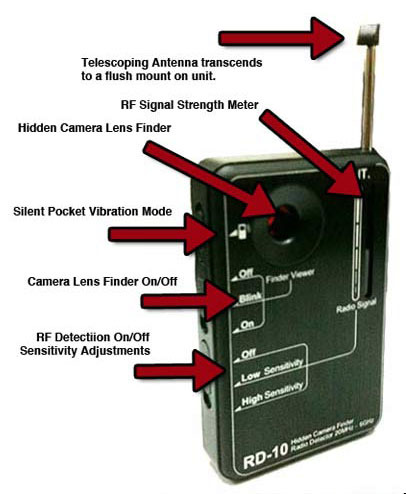 The RD10 Professional-Grade Portable RF Bug Detector and Camera Finder is a new multipurpose counter surveillance device that enables the user to perform fast sweeps for any RF bug transmitting in the 20MHz to 6GHz frequency range (including transmitting cell phones, GPS tracking devices, video/audio bugs, and digital Wi-Fi signals) and offers a blink scanner and viewfinder for detecting hidden cameras - on or off, wired or wireless, dead or alive! The RD10 also features sensitivity adjustment, to assist with pinpointing a bug's exact location. 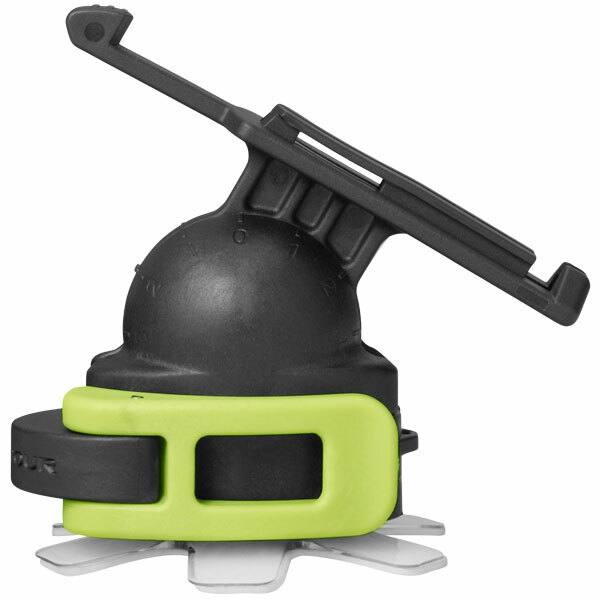 This small lightweight device has a durable & rugged metal housing. At only 3 x 1.75 x 0.5 inches, you can conduct a sweep just about anywhere! The LawMate RD10 offers super fast RF scanning capabilities allowing the user to quickly scan a room for any radio frequency bug transmitting in the 20 MHz to 6 GHz frequency range. 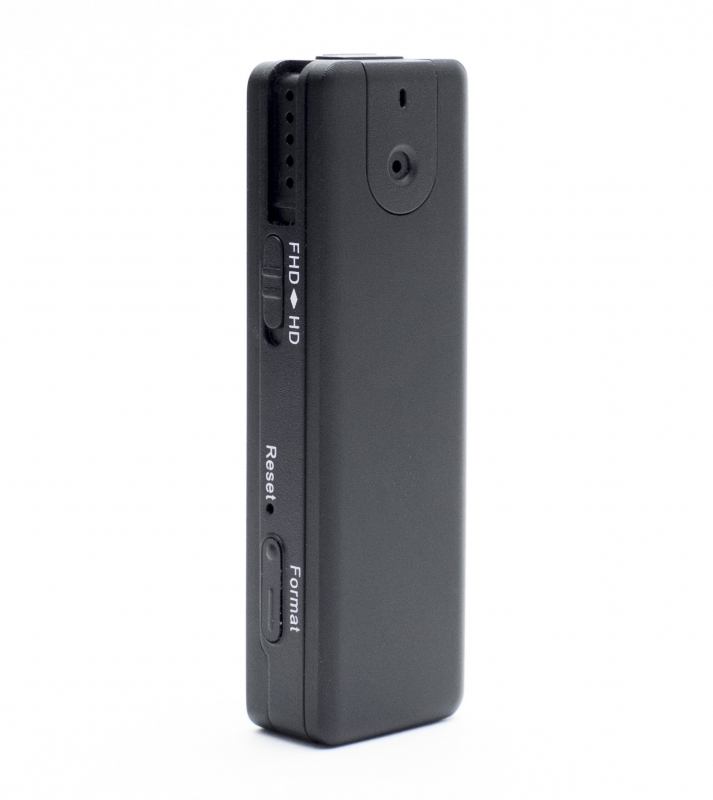 Quickly scan and instantly detect hidden spy cameras using the integrated blink scanner and viewfinder. It doesn't matter if the camera is on or off, wired or wireless, dead or alive, the RD10 will instantly detect any hidden camera lens and display the location brightly and boldly right through the viewfinder. For covert applications where silence is a must, simply put the RD10 in vibration mode and it will vibrate when it detects an RF bug, cell phone bug, or GPS tracking device. The RD10 detects digital and WiFi transmissions so you know instantly if confidential and private information is being digitally compromised. The displayed shipping price is for '1' Portable RF Hidden Spy Camera Digital WiFi Cell Phone Detector. To find the shipping cost for all your items, please view your cart.